So you’ve decided to nix the claims of increased performance and comfort of traditional running shoes and enter the world of barefoot or minimalist running. Like any other sport, minimalist running requires knowledge of the sport, consistent training, and the right equipment. As you begin your journey, we have prepared this minimalist running shoes guide to help you zero in on what to look for in a quality running shoe, the benefits of this style of running, and the different types of minimalist shoes that are available. → This low profile running shoe features Vibram® TC5+ rubber outsoles and has enough protection for light trails. Before you can select the right pair of minimalist shoes, it would be helpful to pinpoint your individual barefoot running style. Proper running mechanics is crucial, especially when it comes to barefoot running, to prevent injury and increase comfort while running. Foot strike mechanics refer to the sequence your feet take when striking the ground – and what portion of your foot touches the ground first. Do you run heel first strike like most runners in typical running shoes, or have you practiced and adopted one of preferred barefoot running styles – mid-foot strike or forefoot strike. Forefoot Strike – is the running style referred to when a person runs ‘on the balls of their feet’. Sprinters run with a forefoot strike because it is faster – and it has less impact on the knees. But this style will put more stress on the runner’s legs and calf, therefore it is not recommended for distance running. When running forefoot, the balls of foot strike the ground first and the heel may or may not brush the ground surface. Runners who use a forefoot strike tend to have a bounce when they run. Mid-foot Strike – spreads the running impact across a larger portion of the foot and reduces the overall force of running, especially to the knees. Mid-foot running resembles running ‘flat-footed’. A true mid-foot landing strikes the ground behind the ball of the foot and results in a softer landing with less ground impact. Most marathon runners will switch from forefoot running to a mid-foot strike when fatigue sets in. Heel Strike – (or rear-strike) is the manner in which 80% of traditional runners will strike the ground. With heel strike running, the lower leg will momentarily pause in motion as the heel impacts the ground first. This running style causes the heel to absorb most of the impact, which is what prompted running shoe manufacturers to increase the thickness and cushioning of the rear portion of running shoes. (Heel strike running style is not recommended for minimalist runners). Obviously, since the beginning of human existence, people have run with their bare feet. As time went on, a minimum amount of foot covering in the form of moccasins or sandals afforded runners and walkers more comfort and safety. But we are inherently conditioned from birth to walk and run without the aid of footwear. Footwear with arch supports, rigid soles, and cushioned heels are modern inventions created to increase the strength, comfort and life cycle of shoes – but they are not necessities. For many runners, the greatest benefit of this natural style of running is that it simply feels good. Runners will practice developing excellent barefoot running form by increasing the frequency of the stride and decreasing the time of foot contact with the ground. The proper style and fit of minimalist running shoes can make all the difference in your barefoot running technique. Traditional running shoes are built to overcome the modern runner’s environment. The primary design purpose of mainstream or consumer running shoes is to provide cushioning to lower the impact of asphalt and concrete running surfaces. Traditional running shoes are built to stabilize foot motion. That is the natural side-to-side motion of the foot which is an inward roll for some people, and an outward roll for others. Motion-control technology and impact reduction are the mainstays of the traditional consumer running shoe. Sport or professional running shoes will offer a customized design with varying levels of cushioning, flexibility, and arch support. Companies like Nike, New Balance, and Asics make customized lines of running shoes fit for specific terrains, training vs. racing, sprint vs. distance, and to correct certain gait problems. The traditional thinking has been – the runner that selects the perfect fit of running shoe, built for the specific style of running, and is wearing the best shoe available. High-performance running shoes recognize the fact that put motion-control properties in shoes have little impact on reducing injury to runners. Removing the excessive cushioning and materials of standard running shoes naturally make the shoes lighter, which requires the runner to expend less energy. The thinner shoe material found in these high-performance running shoes will also enhance the tactile feeling of the foot meeting the running surface – meaning the runner can actually ‘feel’ the run. The total score for a great shoe would be 25 points. The key is not finding a 25 point running shoe, but finding the shoe with the five elements combined in the right ratio for your particular running style, stride, and foot features. For instance, a high score on shoe flexibility may not be as important to the runner as the shoe weight. Diehard minimalist runners may prefer 5 point stack height to better simulate the feeling of running barefooted. There are three types of running shoes in the category of minimalist or barefoot running shoes – silicone rubber, rubber composites, and synthetic materials. Barefoot Running Shoes – (sometimes called low profile running shoes) will have no arch support and a zero drop from heel to toe. You should also expect a bare minimum of comfort cushioning that is typically added to the heels of most running shoes to minimize impact. The sole of a barefoot running shoe will be very thin – typically between 3 mm and 10 mm. All features which support motion control and all cushioning is removed from these types of shoes. You have likely seen the style of barefoot running shoe where each toe digit has a separately fitted sleeve, similar to how a glove fits on a hand. These very thin-soled shoes are the closest you can get to barefoot running – that is, with some covering on your feet. Here are some options to think about when you are considering the most minimum or barefoot running shoes. Silicone rubber barefoot running shoes are extremely thin and are used primarily during training and not for actual trail running. It gives the runner the opportunity to condition the feet before truly running ‘barefoot’. Check out the Evoskin brand of silicon rubber shoes which are marketed for running on grass. One caution with silicone rubber is that your feet may get a bit warm and sweaty due to the reduced breathability of silicone rubber. Rubber composite barefoot running shoes constructed of high-performance rubber at the sole of the foot, along with a stretchable shoe frame which molds to the shape of the wearer’s foot. Look into the Vibram brand of high-tech composite running shoes which are extremely popular for barefoot running. It may take practice learning how to get into these types of snug fit barefoot running shoes. Synthetic materials patented with proprietary engineered materials to allow for maximum protection for the foot, while maintaining a good ‘ground feel’. These types of shoes will also possess design features to improve balance and foot dexterity. West Marine is one manufacturer of synthetic barefoot shoes, which are marketed mainly to boaters, swimmers, and kayakers. You may want to consider purchasing toe socks to absorb sweat and prevent the rubber and silicone materials from leaving a smell in the shoe. 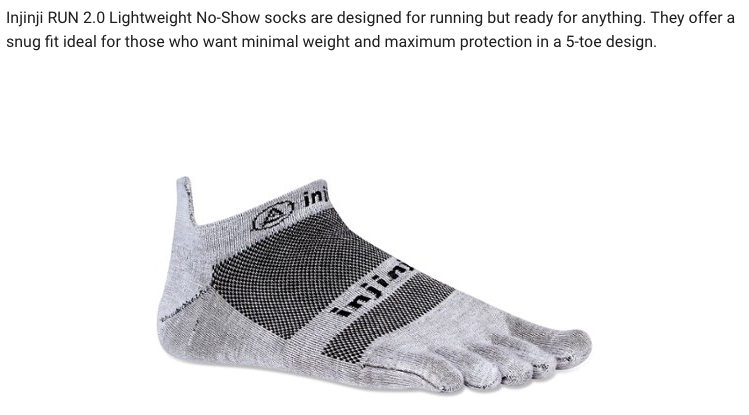 Injinji socks are a performance brand of fingered socks marketed to reduce blisters and absorb moisture while keeping out dirt and debris. Amount of flexibility allowing the shoe to contour to the runner’s terrain, providing more power and grip. Height of the shoe sole (or stack height) – the smaller the number the closer to the ground while running. Toe box area – choosing a wider toe box allowance give the toes more room to lay flat and natural. The first consideration when choosing a minimalist running shoe is the fit. These types of running shoes should “fit like a glove”, snug and secure on the foot without too much extra space around the toes (opposite from traditional running shoes). If you plan to wear socks while running, make sure you are fitted with socks on. You will also want to consider what material the shoes are made of and what the cleaning and care instructions are. The best materials are those that are machine-washable (for obvious reasons). The type of shoe closure is also a personal choice either a quick-lace closure or strap closure. Lace-up running shoes are usually preferred for those who desire better on/off – especially in the toe pocket. Runners that land hard on the heels with each stride (common for those transitioning into minimalist running shoes) or those that run on roads as opposed to trails will usually wear out these types of running shoes quicker. If this is the case, a heavier shoe weight and a greater stack height may be preferred. Choose a pair of shoes that are specified for both trail and road if you are a hard lander. When looking for a good minimalist running shoe, the best shoe will have a balance of different traits to suit your running style and running environment. In the beginning, it is best to look for a good mix of flexibility both lengthwise and rotational, with a low drop, and are lightweight. This way the runner is expending less energy, is running faster and can run more comfortably for longer lengths of time. As a beginner, you may prefer a shoe with more cushioning before transitioning to ‘barely there’ running shoes. Of course, for runners with flat feet, an increased arch support would be desirable in the shoe selection. For those runners who tend to roll their ankles outward or inward when running (under or overpronation), shoes with additional side support may be preferred. The verdict is still out – while some experts say barefoot running is better for this physical tendency, and some say it is detrimental. Stay in good physical shape and know your body. Joint discomfort or persistent pain are signs that your shoes or running style may need to be adjusted. When you advance to running on rocky and technically diverse terrains, choose a shoe with more rotational support and less flexibility. In this way, you add more support to help prevent your ankle from rolling. Technical trail running is an advanced sport which combines the skills of both minimalist running and rough outdoor terrains. The sport includes running, hiking, climbing, and jumping – all in the most natural and rugged settings in nature. The shoes will need to have exceptional grip and are usually rubber soles. The right minimalist running shoe will of value in helping you transition from traditional running styles. With the thinner soles, you will notice an enhanced sensory perception of the ground being transmitted through your feet. Your leg and core muscles will automatically become stronger and more agile. 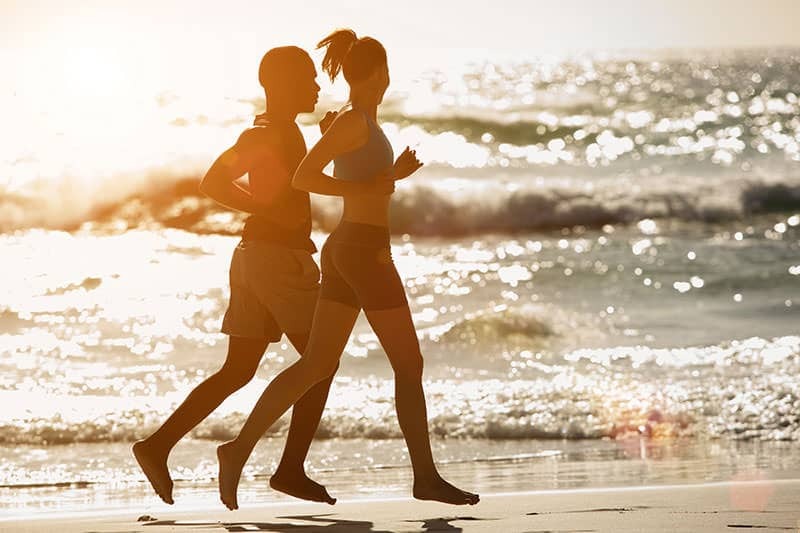 You will develop a shorter and more efficient running stride. It is usually not advised to transition too quickly from padded running shoes to minimalist style shoes. Respect the fact that your feet will experience a shock from not being pampered by padding and supports. To reduce injury, and until you develop the proper barefoot running stride, opt for the greater stack height and heavier shoe weight in the beginning. The key is to create a transitional plan to gradually move from a heavier shoe to lightweight to minimalist to nearly bare. In the meantime, you are gradually building up mileage and conditioning your feet to handle the natural terrains. As with any sport, increasing your level of fitness will add to your growth as a minimalist runner. 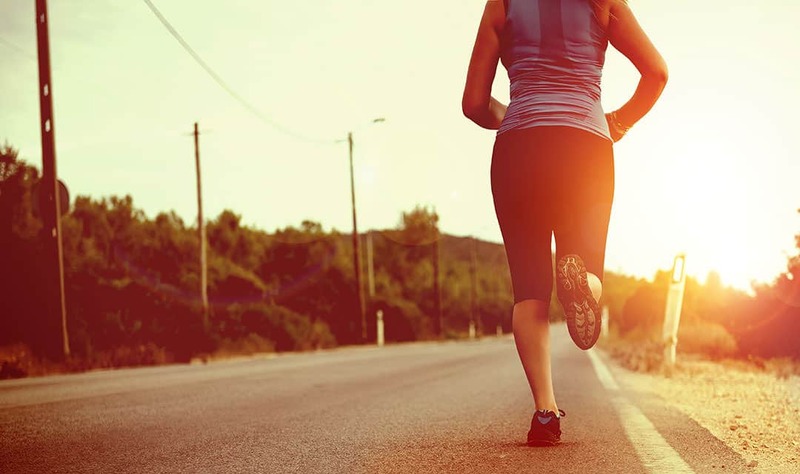 Modifying your running form and your gait takes time and practice. But with the right type of running shoes, you will find the transition is much smoother and plagued with less injury.